The Cougars held off the Panthers, who were last year's Class 3A state champions, in five sets. Barely two miles separate the Lakeville South and Lakeville North high school buildings. 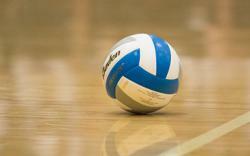 Barely one foot separated the schools’ volleyball teams on Saturday. And that foot belongs to Lakeville South’s sophomore setter, Jasmine Weidemann. 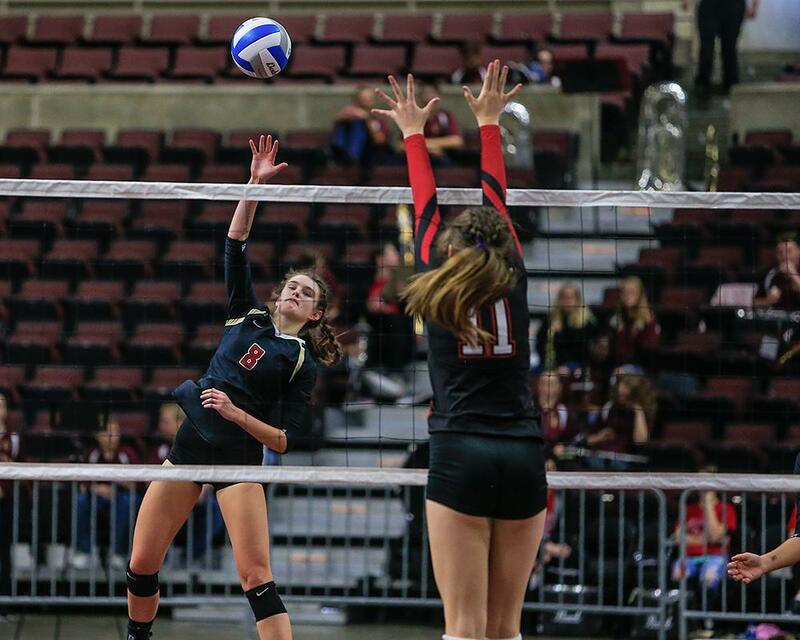 It was her kick save of a kill attempt in the fifth and deciding set of the Class 3A, Section 1 championship at Rochester Civic Center that kept the ball in play, which allowed the Cougars to knock off the defending state champions 30-28, 21-25, 25-19, 19-25, 18-16 in a hard-fought match in which the largest lead for either team was five points. With the win, the Cougars (27-4) return to the state tournament for the second time in three years. Lakeville North (26-5), meanwhile, is denied the opportunity to defend its 2017 state championship or an opportunity at a ninth state tournament berth since Lakeville split into two schools in 2005. The Panthers have been among the usual suspects at the Class 3A state tournament the past 13 years. They have been to eight tourneys, won the state title three times, reached the title game five times, placed third once and never lost in the first round. Lakeville advanced to the state tournament for three consecutive years before the 2005 split into North and South high schools, and the southsiders have been chasing their neighbors ever since. That the Cougars are closing the gap was evident this year. The teams played twice in the regular season, with Lakeville South winning in five sets in September and Lakeville North winning in a three-set tournament match on Oct. 13. In those games, each team won four sets and accumulated 162 points. The section championship game was no different than this season’s regular-season meetings. Leads evaporated quickly, and momentum turned with each hit. That was evident when Weidemann got caught off balance near the right sideline but had enough awareness to stick out her foot and keep the ball alive. Lakeville South was ahead 17-16 and the Panthers’ Macy Winter seemed set to tie the game with her kill shot. This time it was the Cougars. For Lakeville South, Jasmine Mulvihill had 25 kills and 22 digs, Ava Moes had 21 kills and Carlee Gonzalez added 10 more. Weidemann led the way with 57 assists. Senior Elizabeth Juhnke led the Panthers with 24 kills and 21 digs. Teammates Macy Winter had 16 kills, Amelia Wherland had 53 assists and Halle Wolfe contributed with 29 digs. 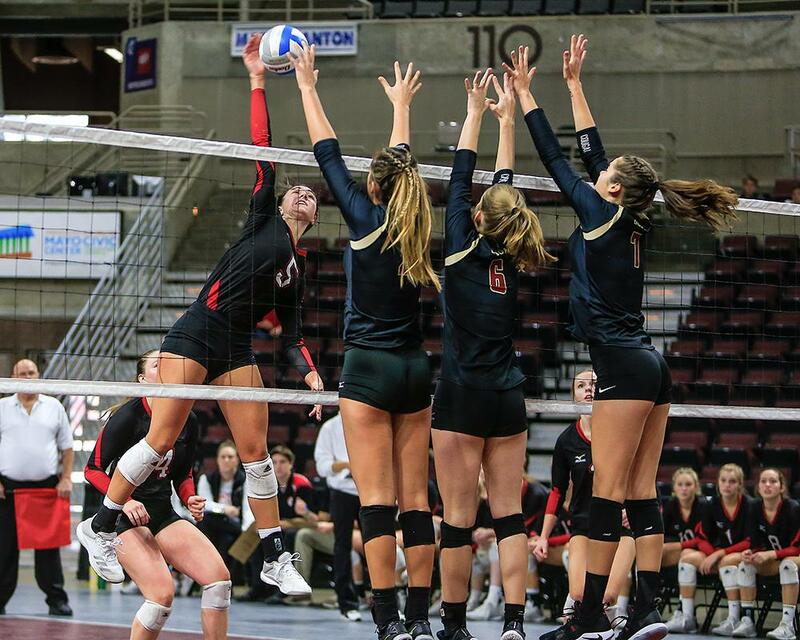 The difference between Lakeville North and Lakeville South in the 2018 high school volleyball season had been indistinguishable until Saturday afternoon. Turns out the difference was just a foot. Sophomore Jasmine Weidemann’s foot, to be exact. Weidemann’s kick save on a Panthers’ kill attempt kept the ball in play, which led to the game-winning point in the Cougars’ 30-28, 21-25, 25-19, 19-25, 18-16 win in the Class 3A, Section 1 championship in Rochester. 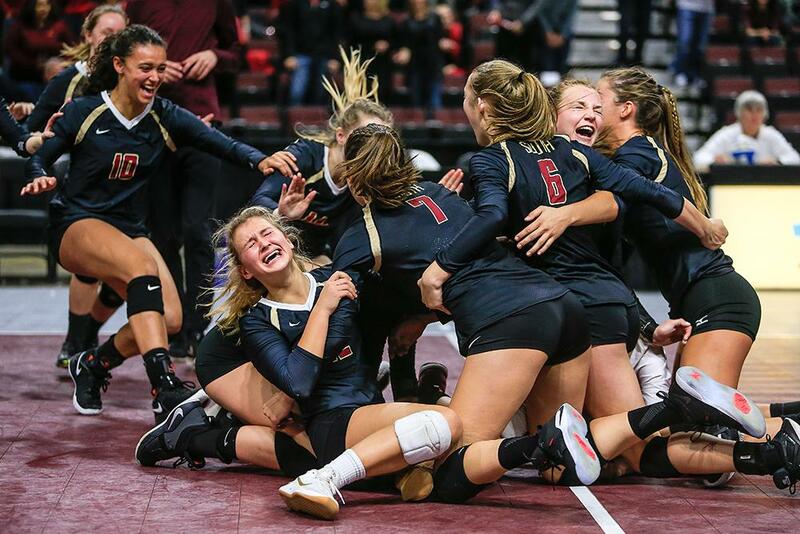 The victory sends Lakeville South to the state tournament for the second time in three years, while ending a Panthers bid to repeat as state champions. Before the section final, the teams had played to a virtual draw in the regular season. The Cougars won the first meeting 3-2 in September and the Panthers (26-5) won the second matchup 2-1 in tournament play on Oct. 13. The final tally in the two matches: Each team won one match, four sets and accumulated 162 points. With a state tournament berth on the line, Jasmine Mulvihill led Lakeville South (27-4) with 25 kills and Weidemann had 57 assists. Elizabeth Juhnke had 24 kills and Amelia Wherland had 53 assists for Lakeville North. The MN Volleyball Hub polls are for entertainment purposes only. In the latest Talking Preps podcast, staff writers David La Vaque and Jim Paulsen ruminate about a memorable championship Saturday of volleyball, football semifinal match-ups at U.S. Bank Stadium and the start of two anniversary seasons of hockey.